Dagenham and Redbridge beat Morecambe to keep alive their slim hopes of avoiding League Two relegation. Bottom side Daggers broke the deadlock when Joss Labadie's long-range drive bounced over Morecambe keeper Barry Roche and into the net. Dagenham doubled when Labadie teed up Jamie Cureton who rounded Roche before tapping in from close range. Morecambe's Tom Barkhuizen found a consolation tap in late on but Dagenham held on for all three points. Dagenham are 11 points from safety at the bottom of the League Two table with seven games left to play, but have a game in hand on 23rd-placed York City. "It's been a funny time because we've gone so long without playing. "Sometimes people say is it a good thing or a bad thing, but you never know how it's going to be. "I thought in the first half we were good. I thought in the second half we got pushed back too much. "I actually think that will do us the world of good for Saturday. I think it will put a little bit more in the tank." Match ends, Dagenham and Redbridge 2, Morecambe 1. Second Half ends, Dagenham and Redbridge 2, Morecambe 1. Attempt missed. Jamie Devitt (Morecambe) right footed shot from the centre of the box is just a bit too high. Justin Hoyte (Dagenham and Redbridge) wins a free kick in the attacking half. Attempt missed. Kevin Ellison (Morecambe) left footed shot from outside the box is close, but misses the top left corner. Cole Stockton (Morecambe) wins a free kick in the attacking half. Foul by Oliver Muldoon (Dagenham and Redbridge). Attempt missed. Cole Stockton (Morecambe) header from the centre of the box is close, but misses to the left. Corner, Morecambe. Conceded by Christian Doidge. Attempt blocked. Shaun Miller (Morecambe) right footed shot from the centre of the box is blocked. Corner, Morecambe. Conceded by Joe Worrall. Attempt missed. Ryan Edwards (Morecambe) left footed shot from a difficult angle on the left misses to the left. Josh Passley (Dagenham and Redbridge) is shown the yellow card for a bad foul. Cole Stockton (Morecambe) wins a free kick in the defensive half. Substitution, Dagenham and Redbridge. 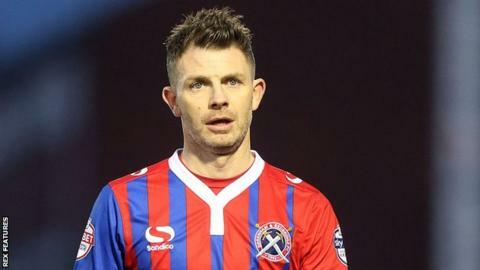 Josh Passley replaces Jamie Cureton. Goal! Dagenham and Redbridge 2, Morecambe 1. Tom Barkhuizen (Morecambe) right footed shot from the centre of the box to the centre of the goal. Substitution, Morecambe. Shaun Miller replaces Andrew Fleming. Attempt missed. Joe Worrall (Dagenham and Redbridge) header from the left side of the six yard box is close, but misses the top right corner. Corner, Dagenham and Redbridge. Conceded by Ryan Edwards. Foul by Cole Stockton (Morecambe). Joe Worrall (Dagenham and Redbridge) wins a free kick in the attacking half. Attempt blocked. Jamie Devitt (Morecambe) right footed shot from the centre of the box is blocked. Kevin Ellison (Morecambe) hits the left post with a header from very close range. Corner, Morecambe. Conceded by Oliver Muldoon.